Keep your spectacle lenses clean all the time to avoid infections & for unobstructed vision. Carry a lens cleaner with you everywhere. If your ophthalmologist instructs you to wear glasses all the time-do it. Avoiding your spectacles will only weaken the eyes further. Take your kids to the ophthalmologist before they join school. Checking your child's vision before she steps into the world of education and learning, will prevent a lot of heartache in future. 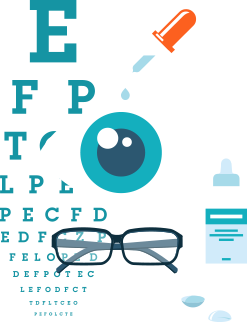 Check your child's eyes regularly: Eye check-ups for a child at the ages of 1, 3 and 5 years respectively. Always consult your healthcare provider for cases of Squint in children. Adults too, who were spectacles should get their eyes checked every year to verify if there's a change in power. Opt for lenses that protect your eyes from UV rays. We should have the same concern about sun protection for the eyes as we have in wearing sunscreen for the skin. Reduce the strain on your eyes. Take a break regularly while using electronic devices like laptops, desktops, tablets, smart phones.